2412 Prairieridge Pl. Champaign, IL - FOR SALE by Couillard & Co. Located in a cul-de-sac in popular Robeson West you’ll find this immaculate, like-new, custom built, split-bedroom ranch. The main level features two living spaces, a gorgeous kitchen with a breakfast nook and additional seating at the bar, separate dining room, two spacious bedrooms and an immaculate bath featuring double sinks, large soaking tub and separate walk-in shower. Other features include hardwood floors, stone fireplace, and a fenced in backyard. Finished basement offers additional living space, plenty of storage, and a guest bedroom complete with a full bath. The neighborhood has great amenities such as extra visitor parking, walking paths, parks and ponds for all to enjoy. 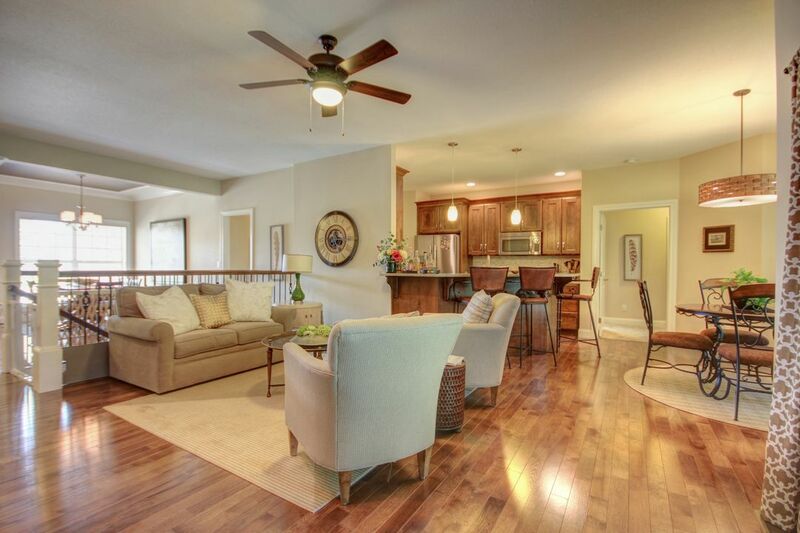 Conveniently located short distance of many shops and restaurants, and just minutes from I-57. Home has been pre-inspected and a copy of the report can be provided upon request, as well as a copy of the radon report.